I'm willing to bet at one point or another in your life you've had or still have a small bedroom. 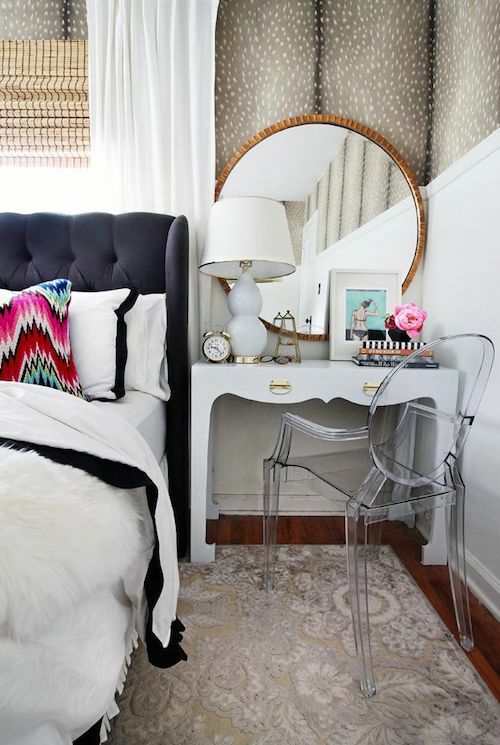 This doesn't mean you have to give up the allure of the dressing table. That lovely little space that holds make up, perfumes and other bits and baubles for your morning and evening daily routine. 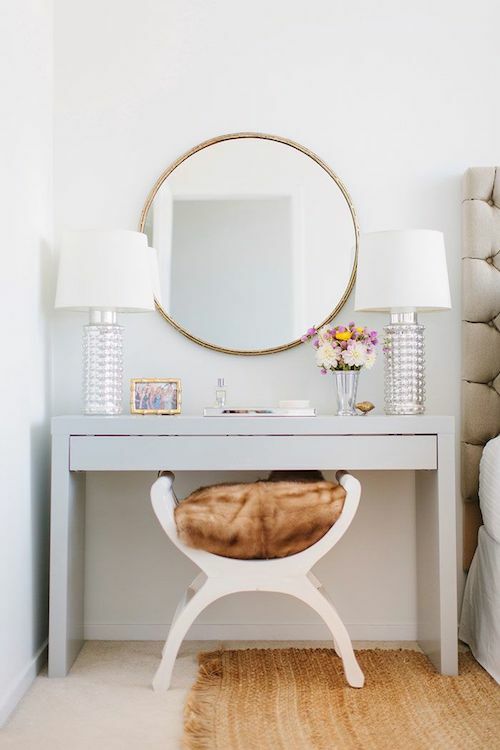 Instead of sacrificing this beauty epicenter, make your bedside table work double-time! I've been hoarding images of this strategy for a while. If I implemented this on my side of the bed my earrings wouldn't have to perch precariously at my bedside when I forget to remove them before hoping in bed at night. 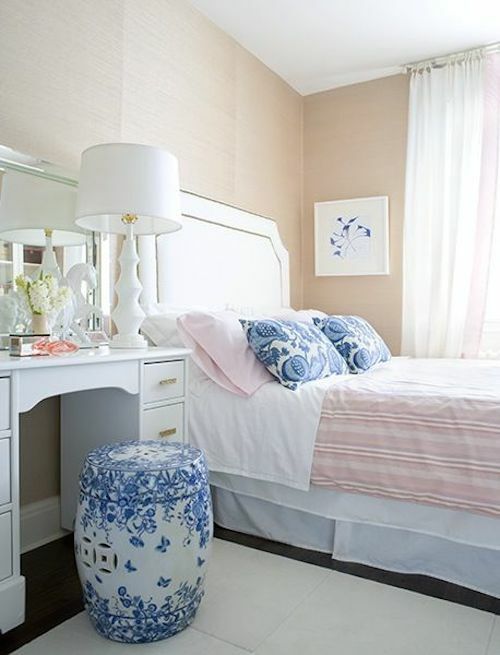 I love the modern, acrylic stool paired with the vintage washbasin in this bedroom. 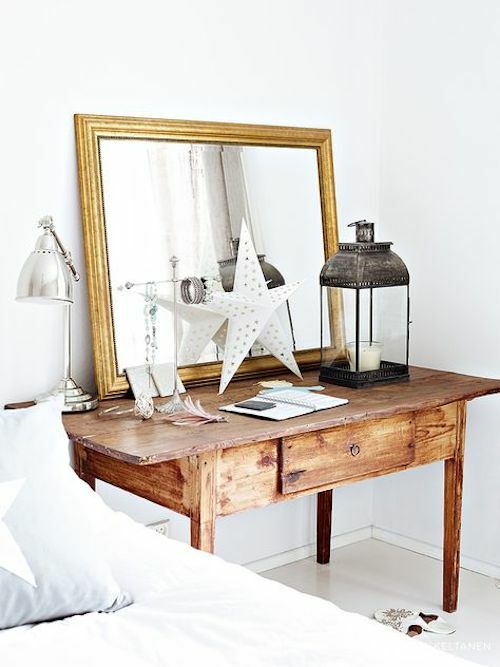 It reminds me of a similar small table currently residing in my room at my parent's home in Florida. There's already a reading hair next to it but I often want to use it as a desk when I'm there. I may have to borrow this look!